Chic Inspector: SEQUENCE founder Ariela Suster is spreading the powerful message of No Violence around the world. SEQUENCE founder Ariela Suster is spreading the powerful message of No Violence around the world. Ariela Suster has been designing accessories for many years and is using her brand and the love of her country El Savador to send a special message. Prior to starting Sequence, Ariela was a high ranking fashion editor for several magazines so she has a keen eye for color and editing, which are useful skills in jewelry designing. Instead of outsourcing her designs to China to get mass produced like most brands do, she trained local at-risk youth in El Savador to make her signature corded bracelets and other accessories. By hiring these local artisans who were susceptible to gang violence, it creates employment and other opportunities that may not be available otherwise. Now she has a team of artfully trained workers heavily invested in her brand and spreading the message of No Violence. 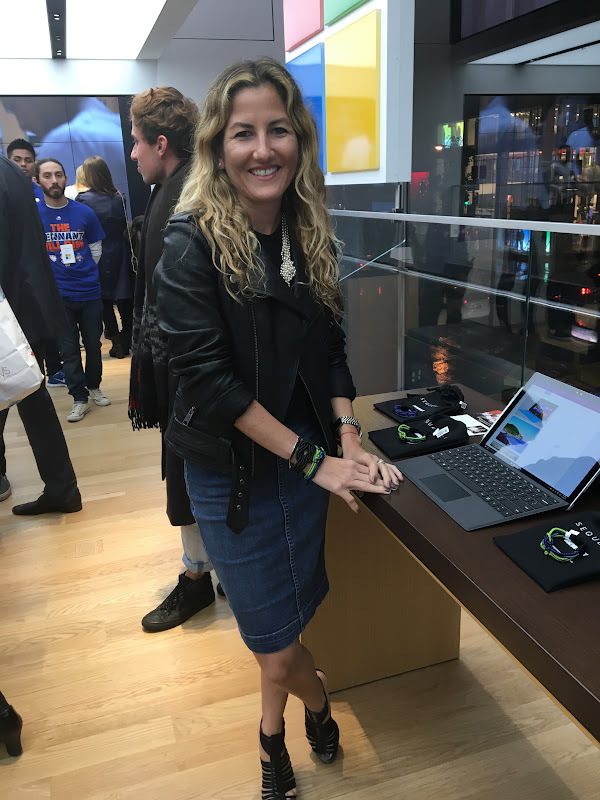 Recently Ariela teamed up with Microsoft showcasing three bracelets that she designed on a Microsoft surface and handcrafted in El Savador. Microsoft is supporting Ariela and Sequence by also bringing awareness to violence that limits at-risk youth in El Savador. Each bracelet has a microchip when connected to a smartphone will play a video that shows inside the workshop of how the bracelets are hand made in El Savador. 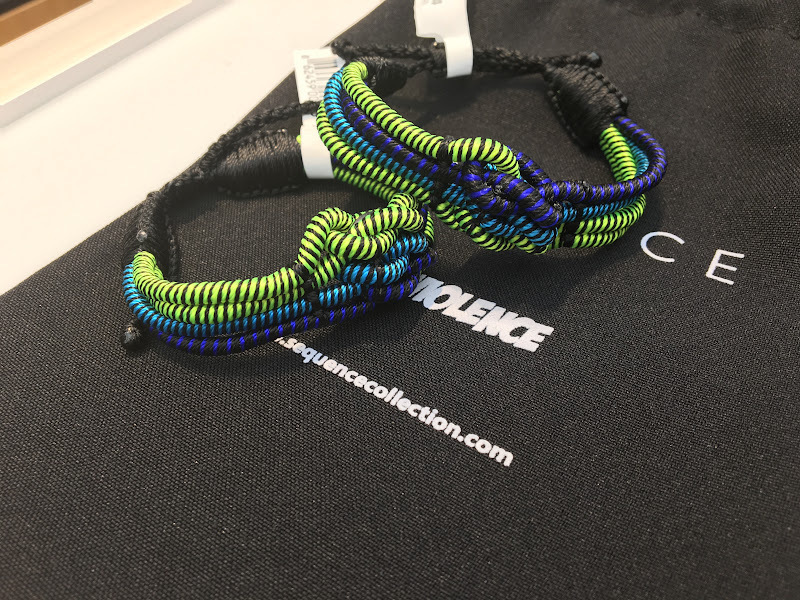 To purchase the Sequence X Microsoft collaboration bracelets and learn more of the Sequence's misson, visit the website.